Breakaway from being a basic international student and find bubble tea places that set you apart. This is piece isn’t to highlight the usual Gongchas and Chatimes that can be found all over the world. Instead, we’re focusing on the chains that are only found within the Melbourne CBD (with a few exceptions) so grab your metal straws and ready your camera app, cause we are going for a deep dive into Melbourne’s best bubble tea shops! 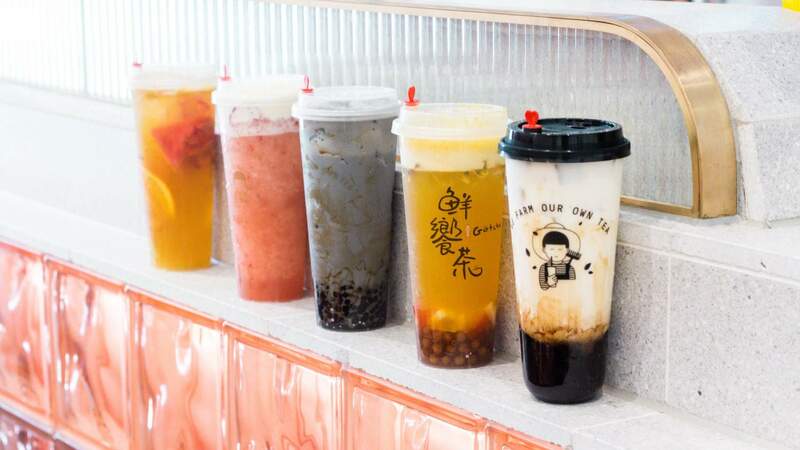 Perhaps the most well-known brand on this list, Gotcha first opened in June of 2018 on Elizabeth Street and took the local bubble tea scene by storm. Weeks of long outdoor queues by Melbourne’s boba enthusiasts in the city’s unpredictable weather showed how hyped up people were for their drinks. They also sell Gotcha-branded reusable cups which you can bring into any branch for free additional toppings! Help with the fight on reducing plastic wastage while at the same time treating yourself to one of the best bubble tea in Melbourne. Gotcha has branches that can be found in the CBD (Elizabeth Street & Flinders Station), Springvale, Keysborough and Glen Waverley. For more information visit their website here. A bubble tea store that doesn’t sell milk tea? Blasphemy! In China, milk tea is one of THE most popular drinks on the market, but little do people outside of the country know, so is cream cheese tea. So armed with this knowledge, the founders of Cha Co. attempted to capitalise on Melbourne’s cheese-less bubble tea market with their now signature cheese cream tea. This is not a traditional bubble tea chain by any means as Cha Co. also serves up a mean batch of coffee with a sweeter flavour that appeals to a niche crowd. Surviving within the oversaturated bubble tea scene in Melbourne off their own eccentric style, it’s a brand that needs to be tasted and savoured. Cha Co. can be found on Bourke Street. For more information visit their Facebook page here. If you’re looking for more of an exquisite taste with your boba, look no further than Yifang Taiwan Fruit Tea. Falling on the pricier side of the bubble tea scene, $8 for a single cup may turn people off from the brand. Still, many believe the peculiar flavours and quality of their products justify their inflated price tag. With categories like Fruit, Tea Latte, Sugar Cane, Yakult, Flavoured Tea, and Traditional Taste, Yifang stands out amongst the rest with its emphasis on the classic. The brand doesn’t feel as contemporary-leaning (no fancy toppings and unconventional flavours) as its rivals but instead embraces ingredients that are commonly found in traditional Chinese drinks. For bubble tea that feels ‘orthodox’, Yifang is where it’s at. Yifang Taiwan Fruit Tea can be found on Swanston Street. For more information visit their Facebook page here. Compared to the other shops on this list, Top Tea is the only chain that sells actual food at their stores. Their baked brûlée, is a decently filling meal that is the perfect accompaniment to your drink. Their selection of bubble tea is no slouch either, with their specialties in cheese tea and fruit tea (sometimes even a combination of both). Another aspect that separates Top Tea from its rivals is it’s consistency between branches. No matter the time of day, weather, or general busyness of their shops – you can expect nothing but the best of their products and service. Always reliable and unwaveringly solid, it’s a bubble tea shop that will always have your back. Are you a pearl connoisseur who hates factory made dime-a-dozen pearls? Look no further than One-Zo which prides itself on producing handmade pearls from all-natural ingredients. This quaint little store is tucked away in a corner with its pastel interior serving as a welcome invitation to anyone who walks past. Though One-Zo’s menu is decidedly barebones in comparison to other competitors, it makes up for it with the variety of pearls you get to choose from. Ranging from buckwheat, pink (made with beetroot juice), purple (made with blackcurrant juice), white jade, matcha, and caramel – One-Zo offers an assortment of pearls at your disposal . There are also limited flavours such as taro, sesame, and chocolate so catch them while you can! One-Zo can be found at the corner of Little Lonsdale and Swanston Street. For more information visit their website here.